Literally translation: white from blacks. These are white champagnes made from the skins of darker colored grapes. Or “Dry,” meaning that the dosage added to the bottle contains little sugar. As a popular sparkling white in the United States, “Extra Dry” actually has a mildly sweet taste to it, as it contains a dosage with a small amount of sugar. All true Champagnes are made in the Champagne region of France, and are acclaimed as some of the best sparkling wine in the world. When there is a celebration, someone is usually bringing out the champagne. Champagnes are sparkling wines, usually made from a blend of grapes. They range from dry to sweet, and different producers have various flavors and styles. Price range varies widely depending on the champagne. Whether you are getting ready for New Year’s or Sunday Brunch – there are plenty of delicious cocktail creations you can make with a bottle of bubbly. Try these recipes, and feel free to get creative with your own special touch! Passion Fruit Mimosa: The mimosa is the tried and true beverage for Mother’s Day, Easter, or any brunch! Put a twist on this classic by subbing the OJ for some Passion Fruit Juice. Pomegranate Royale: This is a fun and festival holiday cocktail. The red pomegranate seeds add a beautiful color to this drink. Classic Champagne Cocktail: If you want to keep it classic and classy, this is the perfect go-to. There’s nothing better than a glass of champagne that just goes perfectly with a delightful meal. 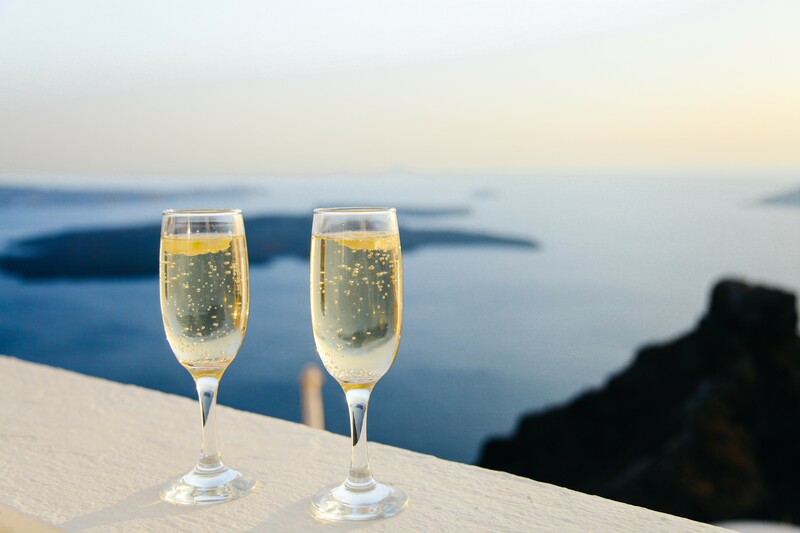 We picked out some of our favorite champagne pairings for you to try! Oyster Rockefeller: We had to pay homage to this New Orleans classic. It’s no secret that champagne goes fabulously with oysters. Get the full recipe here. Bagels and Lox with Cream Cheese: This is great for breakfast, brunch, or lunch to pair with your Passion Fruit Mimosa! You can get creative with your bread and opt for an English muffin or baguette instead of the bagel! Seared Pork with Roasted Grapes: This is an entre that would pair perfectly with brut champagne. Champagne is an elegant and tasty beverage option to bring out in times of celebration and get-togethers. If you need help finding the perfect bottle, or creating and serving cocktails, Crave Culinaire offers personalized private and large-event catering services. Visit www.craveculinaire.com for more food and beverage inspiration. “Too much of anything is bad. But too much champagne is just right” – F. Scott Fitzgerald. Next PostCooking Class with Nicole and Brian!